Beirut, formerly titled “High Wire Act” is an American political thriller film coming out on April 13. The movie was directed by Brad Anderson and starring Jon Hamm (From Mad Men) and Rosamund Pike. The script comes courtesy of Tony Gilroy, who also wrote the Bourne trilogy and Michael Clayton. 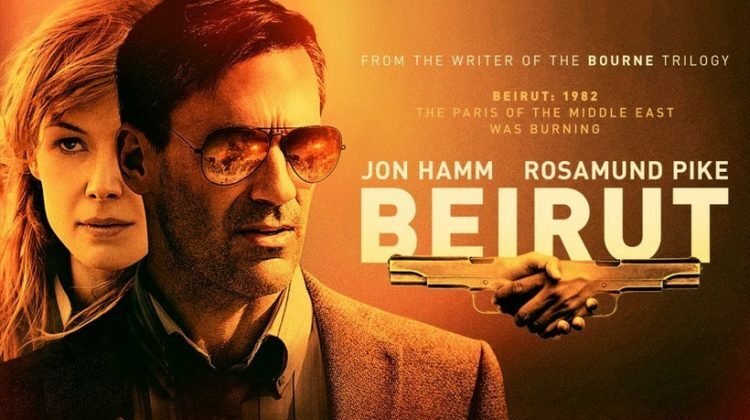 The plot is about a U.S. diplomat (Jon Hamm) who flees Lebanon in 1972 after a tragic incident at his home. Ten years later, he is called back to war-torn Beirut by CIA operatives (Rosamund Pike) to negotiate for the life of a friend he left behind. The plot sounds nice but the trailer doesn’t look that promising. In fact, the movie is getting a lot of backlash for practically not having anything or anyone Lebanese in it. 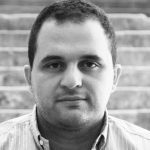 It was filmed in Morocco and none of the actors are Lebanese. In fact, I couldn’t identify anything Beirut-related in the trailer and I didn’t understand what they meant by this quote “2000 years of revenge, vendetta, murder. Welcome to Beirut” during the trailer. What is that supposed to mean?